Love this helmet only issue I have which most find useful is I don’t really care for the locking face shield I find it annoying and time consuming to open sometimes while sitting at a light by the time I get it open and up light has turned back green and need to put it back down again other that that like the title best I’ve ever owned period ..
After a year and thousands of miles of riding I still think this is the best helmet I've owned. My head shape is classified as a round oval, but is really more of a square shape - think Dolf Lundgren. 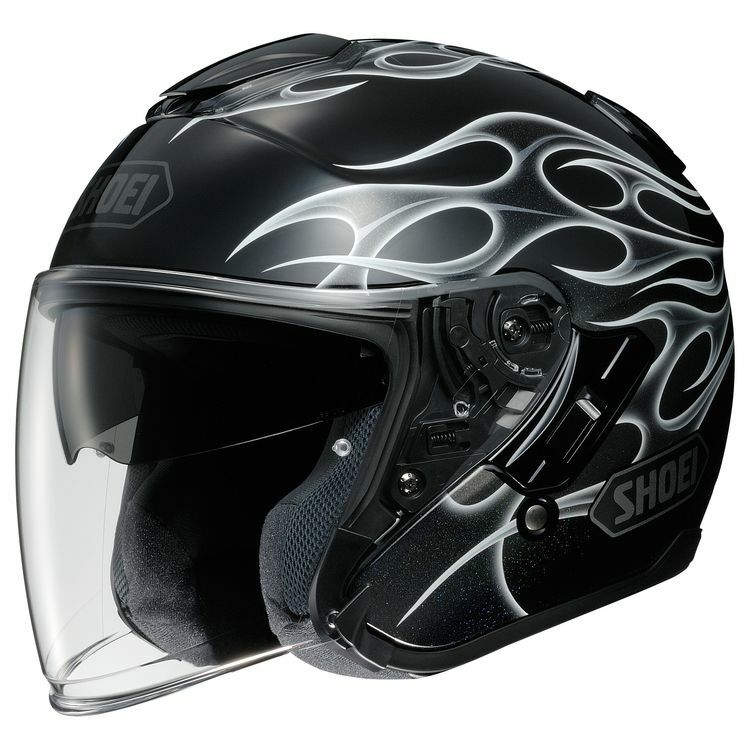 After trying on many brands I settled on the Shoei as the most comfortable. Cheek pads were very tight at first but have since adjusted to my face. Still a snug fit, but not tight. The helmet is very comfortable to wear for long rides and multiple days. Aerodynamic and much quieter than my HJC. The moulded speaker wells provide ample room for my Sena speakers and are properly placed for optimum sound transfer without creating a hotspot on my ear. I can now carry on a conversation up to 70 mph rather than the 50 mph with my HJC. The web photos don't do the Reborn graphic justice. It is way cool! The extended jawline of the shell provides additional protection over a traditional 3/4 helmet without affecting visibility. Peripheral vision is excellent. Gripes: Only two. 1) A quick release chin strap would have been nice. Not a big deal. 2) For the price, this helmet should come with the optional pinlock visor. Because of the airfoil at the bottom edge of the face shield, airflow behind the shield is limited. Below 50F the shield fogs badly and clears slowly. The pinlock is a must at lower temperatures. This is a safety issue. You can remedy this problem for about $35, plus shipping, but be careful to purchase the correct model pinlock (Shoei CJ-2 EVO). Overall, I am extremely happy with this helmet and would buy it again, without question. After years of riding with full face and modular helmets, I decided I wanted to try an open face for enhanced visibility and feeling more connected to what was going on around me. I have a modular Shoei, with an internal sun shield, so I decided to try a similar set up in an open face design. I am so glad I bought this helmet. It feel so much more open than the modular or full face helmets I've been wearing. I took it on a long ride in the mountains, and the experience looking at the scenery was so much better than with my modular. I expected that with an open face, but what I didn't expect was that noise and wind were not much worse than with the full face. The shield comes down so low that you don't even really notice the shield is there. The internal sun shield works great. The only con is out of the box the fit is a little tight at the jawline, but I think it will be fine once it gets a little more broken in.